…smooth operation and very functional. BED FRAME: All wall bed frames feature cambered beech slat mattress supports which allow for the natural curve of the spine while resting. 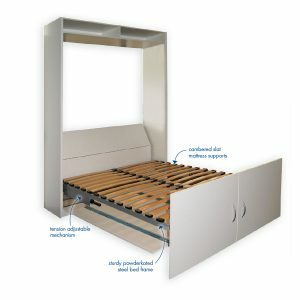 The slat supports are connected to a heavy duty steel frame by flexible support brackets. 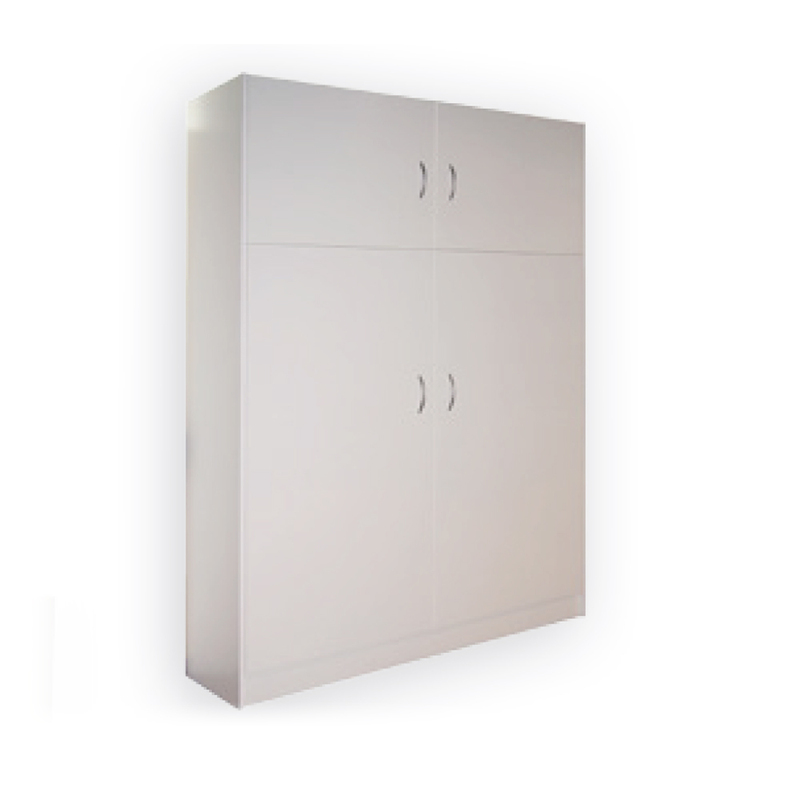 This mechanism is our premium product and is mostly used in home offices. It has adjustable tension mechanism to allow adjustment for different weight doors or mattresses that customers may use. 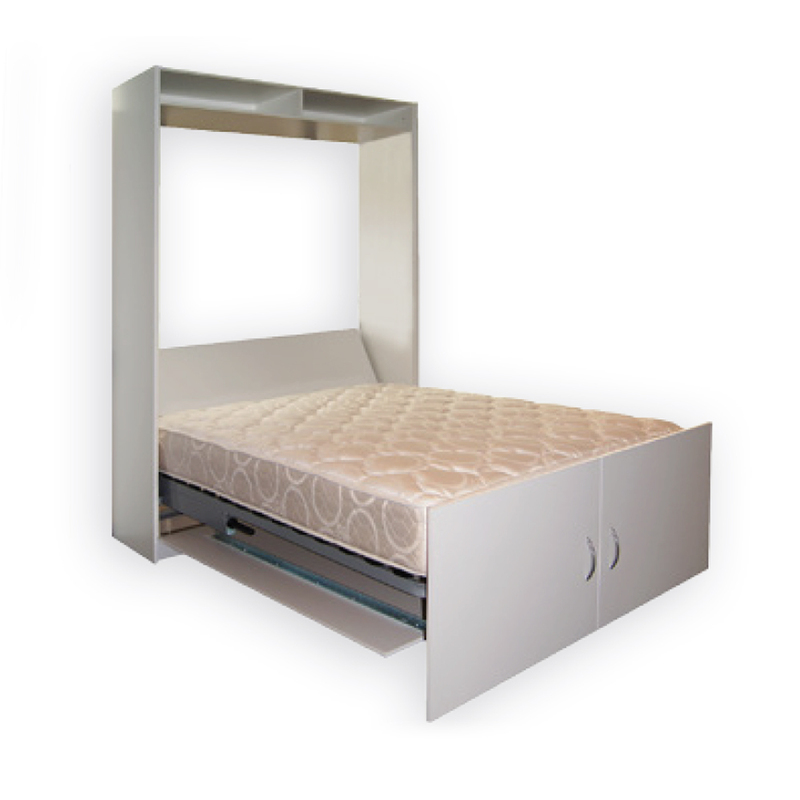 When the bed is pulled down using the top handles, the top door automatically operates the leg of the bed so that it descends in one easy motion. Ideal when side storage cupboards are required.